It has been brought to my attention, that Shades Photo Of The Week (POTW) is ignoring the men of history in favor of babies, children, and women. In an effort to balance photographic history this week's POTW is a very interesting man. Finding him just may have been the most time consuming part of this post, as there was only "one" clue. Recently I purchased a beautiful 1884 leather bound photo album containing 21 autographed cabinet card photographs and 17 unidentified cabinet card photographs, all of men. One of the unidentified cabinet card photographs is pictured above as the POTW. I chose this man for the faint sign of a smile on his face and challenged myself to find him. I had only one clue as to who he might be. That clue? The album was of Vermont State Senators for the year 1884. Vermont has fourteen counties with two state senators each for a total of 28 senators. Two of the photographs are of the Senate Pages, one was the Senate Doorkeeper, and one the Senate reporter, they were identified. Identifying just a face is a very difficult and often impossible proposition. No list of the State Senators of Vermont is posted on the web, so I didn't even have a list of possible unidentified names. I spoke with the Vermont Historical Society who told me the album is fairly common and was used as a directory. The albums were given to each of the twenty-eight senators, pages, reporter, doorkeeper, state officers, and select "others." The Society is sending a list of the senators names so that by the process of elimination I can determine the names of the unidentified. I am, however, not a patient person. I ran a web wide search for "Vermont Senate 1884." I read every source listed looking for illustrations or photographs of the people discussed in the articles. This was very time consuming with only about one-third of the articles containing illustrations or photographs. The process took about six hours. Then I found the book, History of Santa Cruz County, California, 1892. There was a reference in the book to the Vermont State Senate of 1884. In searching that book and reading that article I found the following photograph. So who is our unidentified man and what is his story? Oh, he was smiling at me. Smiling because of serendipity. His name is Edward G. Greene. Readers of the footnoteMaven blog will recognize how very close the name is to that of my Grandfather Edward J. Greene. Is there a connection? Only time and more research will tell, but my Grandfather was born in California where Edward G. Greene was found and, as you all know, my Grandfather is the bain of my genealogical existence. I am praying for a connection. Edward Griswold Greene was born May 18, 1834, near St. Albans, Franklin County, Vermont. He was the eldest son of eleven children. His grandfather had settled on the farm where he was born, sometime before 1792. He was raised on the farm and educated in the public schools of St. Albans, Vermont. His first job was as a clerk in an iron and hardware store in St. Albans, owned by Lorenzo Janes. Greene worked as a clerk for six years and lived with Mr. Janes, his wife, and their children. Greene then went into business for himself, owning a grocery and hardware store for fourteen years. During this time he became involved in real-estate speculations and was associated with a company dealing extensively in live stock in New Mexico and Colorado. He was married, in St. Albans, February 19, 1865, to Miss Mary J. Wright. Mary was very prominent in her own right for her work in education and temperance. The couple had two daughters, both died in infancy. 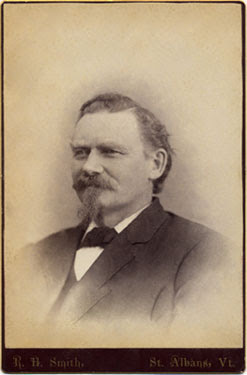 In 1878 Greene was elected as representative to the Legislature from Franklin County, and to the Senate in 1884. He was a member of the Board of Select Men of St. Albans, Vermont from 1870 to 1882. Although a Democrat in a strong Republican county, he was elected to the Assembly by a large majority. He came to Santa Cruz in the year 1885, to settle the interests of the heirs of the Wright estate, his wife's family. He liked Santa Cruz, purchased the rights of the other heirs and settled there. Santa Cruz was very favorably impressed calling Greene one of its most valued and enterprising citizens. Mr. Greene is a progressive man, and his name is associated with nearly all of the enterprises and efforts that have been made to promote the interests of Santa Cruz. Mr. Greene is a member of the Masonic Order. 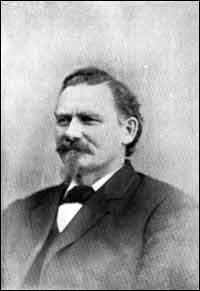 He is in the prime of life, active, vigorous, and in the enjoyment of good health, and while one whose business it is to record facts should not, perhaps, venture into the realms of the prophet, it does not require prescience or extraordinary mental acumen to perceive that Mr. Greene’s contribution toward the development and building of Santa Cruz will be of no small importance. One source indicates that Edward Griswold Greene died in 1909 at the age of seventy-five, a fact I could not substantiate. So while difficult to find the identity of the man in the photograph, it was not impossible. Edward G. Greene. Photograph (Cabinet Card). ca. 1884. Privately held by the footnoteMaven, [ADDRESS FOR PRIVATE USE,] Preston, Washington. 2007. Edward G. Greene. Photograph (Cabinet Card). ca. 1884. Digital image. Privately held by the footnoteMaven, [ADDRESS FOR PRIVATE USE,] Preston, Washington. 2007. Original Harrison, E.S. History of Santa Cruz County, California. San Francisco: Pacific Press Publishing Company, 1892. 1892. 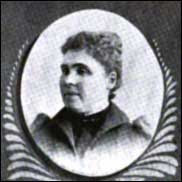 Mary J. Greene. Photograph (Cabinet Card). ca. 1892. Digital image. Privately held by the footnoteMaven, [ADDRESS FOR PRIVATE USE,] Preston, Washington. 2007. Original Harrison, E.S. History of Santa Cruz County, California. San Francisco: Pacific Press Publishing Company, 1892. Harrison, E.S. History of Santa Cruz County, California. San Francisco: Pacific Press Publishing Company, 1892. 1860 U.S. census, Franklin County, Vermont, population schedule, St. Albans, p. 556, dwelling 1992, family 435, Lorenzo Janes (Head); digital images. Heritage Quest (http://persi.heritagequestonline.com/ : retrieved 7 June 2008); citing NARA microfilm publication M653, roll 1321. That would be absolutely the greatest of serendipities if this man was a relative of your grandfather...fingers crossed! Your sleuthing skills are inspiring. I would not have been able to wait for the Vermont Historical Society either! 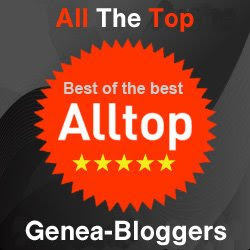 I'm so grateful to you for providing this link to a a part of our family history - and you know how difficult it is to find photos of family members, so I especially appreciate those.